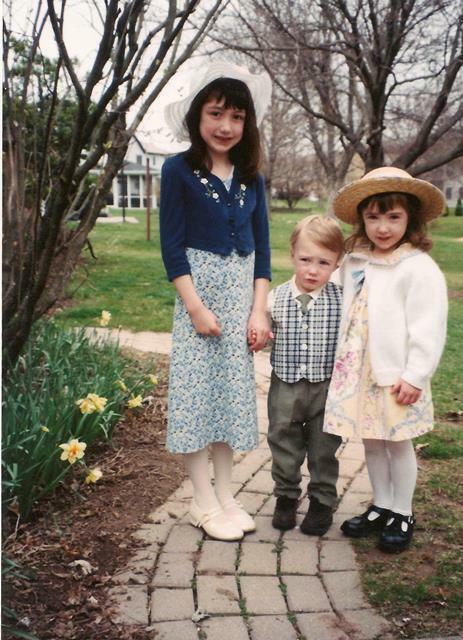 One of my favorite photos of all time, Easter 2002, when my son was truly the smallest one in the family. His day has come. I’ve been telling my son for years, that he would only spend a fraction of his life as the “smallest” and that one day he would be the “tallest.” The third of our three children, at 13 years of age, he’s now surpassed both of his sisters, as well as me, in height. Only Dad remains, and there’s no doubt his lanky frame will soon zip past Dad too. It’s incredible to me, that “my baby” is now at eye level. This is the sweet boy who was always toddling to keep up with his sisters during their baby days. Even though he will always be the youngest, it’s amazing how quickly the roles reversed and he became the tallest. It seems as though his height has zipped higher and higher in direct proportion to his voice dipping lower and lower. It was a shocker last September, as we had to step foot in the men’s sections, rather than the boy’s sections, while doing his back-to-school shopping. Just more proof that time truly does fly, that it’s so important to savor every day, every milestone, every treasured family moment. I encourage you to take time to step off the merry-go-round of our busy lives to enjoy and celebrate the most special people on earth… our children. 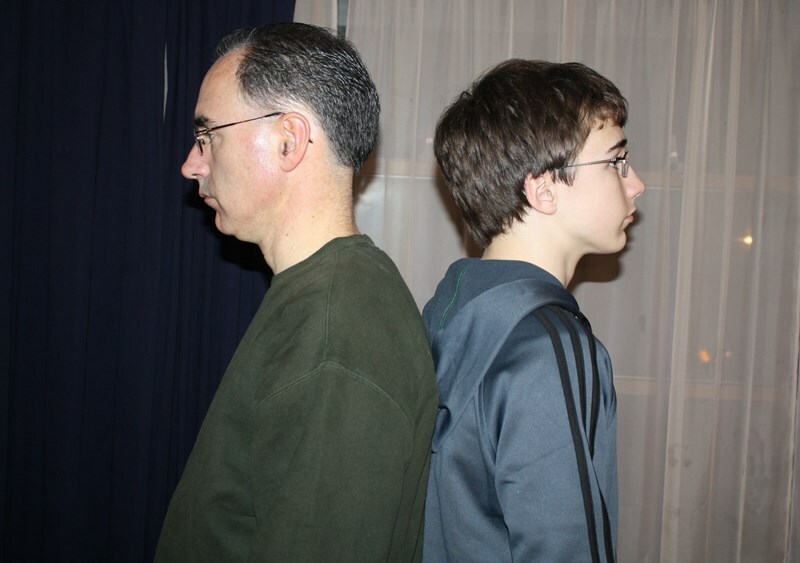 Today: father & son photo, back-to-back, with two inches or less in height difference. Share the stories of your childrens’ growth spurts… How quickly or slowly did your childrens’ birth-order stair steps become rearranged? What are your tips for slowing down and savoring childhood milestones?